Easy for little fingers to grasp, these brightly coloured wooden blocks stimulate creativity and hone basic motor skills. 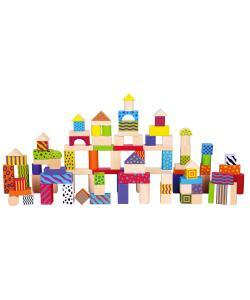 Children can build anything that they can imagine with the assorted wooden blocks. 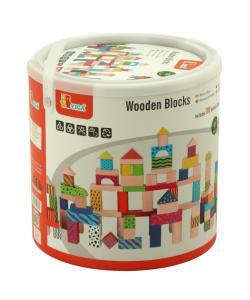 This set comes in a handy tub with lid so when not in use, blocks can be neatly stored away! 100 wooden pieces. Assortment of sizes and shapes. Assortment of natural, painted and hand painted colours.